From RF welding to puncture-resistant polyurethane coatings to stainless cam buckles, everything about this BC is first-class. In 1978, SCUBAPRO introduced the Stabilizing Jacket. 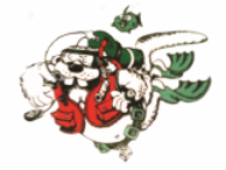 It revolutionized scuba diving. Providing unequaled stability at depth, the "Stab" Jacket became an immediate classic. A direct descendant of the Stab Jacket, the modernCLASSIC combines the best design and construction features of past and present. Built with puncture-resistant polyurethane-coated 420 denier nylon, theCLASSIC's seams are RF welded (a heat welding method that uses high frequency electromagnetic waves to create strong leak-proof seals). The CLASSIC comes standard with a stainless-steel Super Cinch tank band buckle system, a high-quality web waist belt with stainless steel cam buckle, large pre-bent stainless steel D-rings and one of the most secure and reliable integrated weight systems around. The CLASSIC features a depth-compensating cummerbund and a sternum strap to ensure the perfect fit, along with a padded backpack to ratchet up the comfort quotient. A pair of rear trim weights balance out the weight ditch system. That, along with rock-solid tank positioning, contributes to an extremely stable ride at depth. 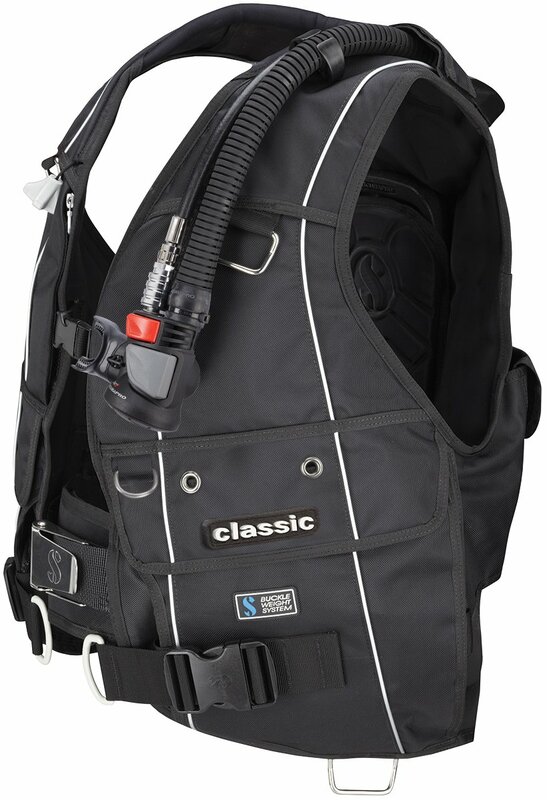 For carrying dive lights and other accessories theCLASSIC offers two big cargo pockets with Velcro closures, as well as two zippered pockets. All four are roomy and easy to access. The pre-bent D-rings are the ideal size and shape for clipping on extra gear. It takes only one look at the CLASSIC to understand how it got its name, and why it enjoys such a stellar reputation. Built tough, generously equipped with high-quality hardware and heavy-duty webbing, armed with a first-class valve system and offering impressive buoyant lift, this BC can handle any job, anytime, anywhere. If that gets your juices flowing, you just may be a CLASSIC diver. Available in five sizes with 33.7lbs/15.4kg to 66lbs/29.9kg of lift capacity, depending on size. Click on BC size chart for more details.